Colombia is the birthplace of Gabriel García Marquez, Shakira, Sofia Vergara, and John Leguizamo; well-known exports are coffee, emeralds, flowers, and bananas. The country has great geographic and bio-diversity: from Amazon jungles to Andes mountains to Caribbean beaches. More and more people are choosing Colombia as a travel destination, with Cartagena on the list of “must sees.” It abounds with beautiful colonial Spanish architecture in its Old City; the protective colonial fortress-like walls still surround most of this colonial center and the maze of narrow streets within are delightful to wander—it’s a beautiful place to visit! Tourism to Colombia is increasing. However, there is a side of the country that many tourists don’t see—that of great poverty. One Dutch tourist who arrived many years ago to Cartagena, on the Caribbean coast, loved the friendly atmosphere but also saw a huge need. 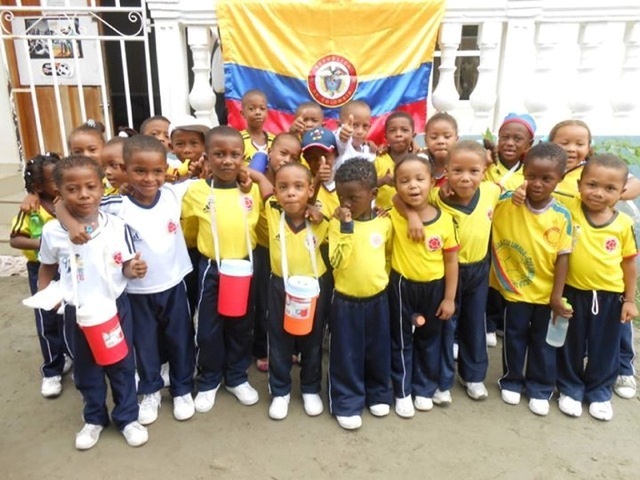 Nathalie Rietman went back to the Netherlands to further her own education in order to return to Cartagena truly prepared to make a difference. Five years ago she started Fundación La Vecina in La Boquilla, a poor fishing community about 10 Km from Cartagena’s beautiful and historic city center. In La Boquilla, as in other areas of the country, many roads are not paved, people live in substandard housing and may not have regular access to running water or electricity, physical and sexual abuse is prevalent, and people go hungry. Fundación La Vecina is a small oasis in this community. It provides structure, counseling, education, a daily main meal and more to over 100 children. Fortunately many of these travelers are also visiting PackForAPurpose.org and checking out Fundación La Vecina’s wish list. Guests have brought clothing, soccer balls, medical supplies, crayons/markers, books, stickers, magnetic letters, even electronics! 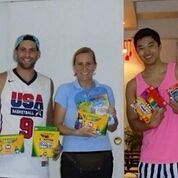 These donated items allow the La Vecina staff to award prizes to children for reaching various milestones, help celebrate birthdays and holidays, enrich the curriculum with new materials, and help with kids’ hygiene and overall physical well-being. 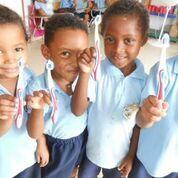 The “Small Space” a dozen toothbrushes take up in a suitcase with very “Little Effort” make a “Big Difference” by bringing bright smiles to many children’s faces in more ways than one.